This Mother's Jewelry pendant from Posh Mommy is tall and terrific! 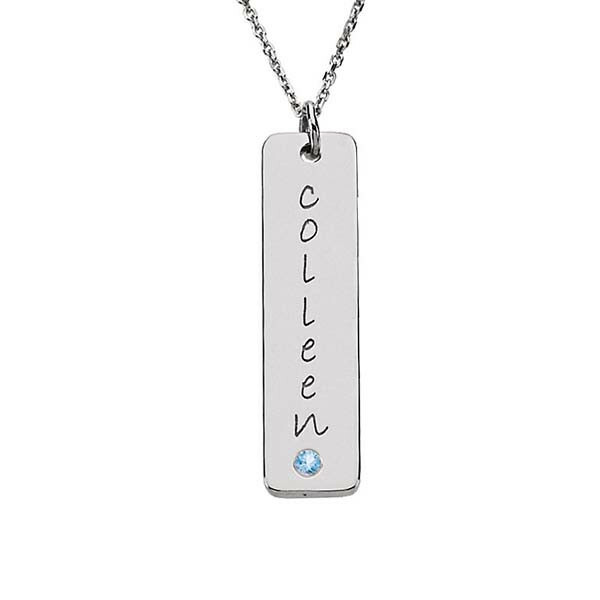 Crafted in sterling silver, it features a vertically oriented rectangle that can be engraved with up to eight characters, along with a simulated blue topaz, the birthstone for those born in December. The pendant offers you a way to give her a gift as special as she is, and can be worn on a chain she already has or purchased separately.